Are Google going to fall flat on their face again with their latest attempt at social networking, we’ve seen it happen all to often when the big G take a step into the social networking space with the likes of Orkut in 2004, Wave in 2009, and Buzz in 2010. This time around though I think things will be different. Google Plus may not be the be all and end all of social networks, but we can’t forget that Google Own’s Search (at least for now)! This post isn’t going to be another one about why you should be on Google Plus building a new network of friends on yet another social platform. I want to let you know why it’s important from an SEO and Content Marketing perspective. Search marketing/SEO has changed a lot over the last year, one of the big changes that has happened is the convergence of search and social. Social Signals are now an essential component of any search marketing campaign, and social network features, Google Plus in particular, are now being used to provide Author information in the Search Results. I believe Google Plus is Googles attempt to gather social signals using their own social network, rather than trying to scrape what they can from Twitter and Facebook, and why not when you are as big as Google. 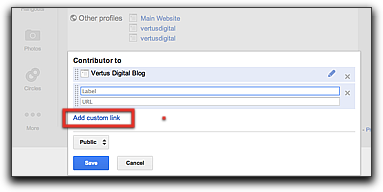 With that said, lets now look at my favorite way to use Google Plus to boost your SEO & Content efforts. The thing Google introduced recently that I think will benefit SEO and content creation is Authorship. Authorship is brilliant for SEO purposes and Content Creators alike, each time a new piece of content is produced it will be tagged with you as the author. By using the “rel=author” attribute on your blog or content you’ll be telling Google that you are the author of that piece of content. You’ll need a Google Plus account, head over to there using this link and sign up if you don’t have an account already. Once you have an account set up make sure you add a profile photo (this will show up in the search results as your Author Image). You are going to have to implement the “rel=author” attribute into your article or integrate it into your blog. How this is achieved depends on what platform your content is on. Here are a couple of links to good articles on implementing “rel=author” on a WordPress site. 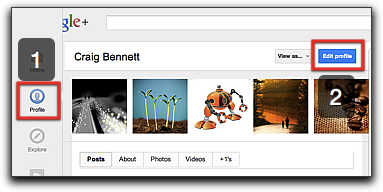 Head over to your Google Plus Account and click on “1-Profile” and then “2-Edit Profile”. 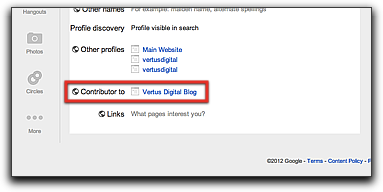 Come down to the bottom of the page and click on the “Contributor to” area, to link your content. Click “Add Custom Link” and enter the URL you contribute to, leave as public and click save. (The URL will vary depending on the site you are contributing to, for example on a WordPress site your author page URL will be something like http://www.site.com/author/user). Great you should now be set up for Authorship. To check everything is working ok, give Google 24 hours to update your Google Plus profile and then head over to their Rich Snippets Testing Tool and check out a few of your posts. Authorship is by far the most important aspect of Google Plus for me, but each and every day more and more people are starting to use and engage in G+. That’s why it’s also important to build up your presence on Googles social network. Make sure your profiles are complete and try to make it naturally keyword rich. Share your own and others useful content. Get noticed by other users by commenting and interacting with their content. And lastly don’t be spammy, we all know it’s not tolerated on any networks so don’t do it. I’m almost certain Google Plus is here to stay and you should defiantly have a presence on it, even if you aren’t very active. If you feel you don’t have time for a new social network try at least to make an effort to set up your Google Authorship. It’s going to become/has become an integral part of the Search Results and can improve your content marketing and SEO efforts. 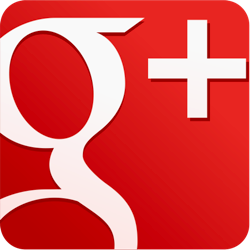 What do you think of Google Plus, is it here to stay or is it going to end up in the bin like “Google Buzz”, let us know in the comments below.